Four months after stunning the world with the announcement that they had detected gravitational waves from a collision of two black holes and confirmed a major prediction of Albert Einstein’s 1915 general theory of relativity, scientists say they’ve done it again. The second event, detected Dec. 25 by both of the twin Laser Interferometer Gravitational-Wave Observatory, or LIGO, detectors, located in Livingston, Louisiana, and Hanford, Washington, sheds new light on black holes and how common they are. “This second detection confirms our expectations that binary black holes are abundant in the universe and LIGO will see many more in the future” said Sergey Klimenko, a University of Florida scientist who is analyzing the data from LIGO, the same detectors used in the first detection. Gravitational waves carry information about their origins and about the nature of gravity that cannot otherwise be obtained, and physicists have concluded that these gravitational waves were produced during the final moments of the merger of two black holes 14 and 8 times the mass of the sun to produce a single, more massive spinning black hole that is 21 times the mass of the sun. During the merger, which occurred approximately 1.4 billion years ago, a quantity of energy roughly equivalent to the mass of the sun was converted into gravitational waves. The detected signal comes from the last 55 orbits of the black holes before their merger. Based on the arrival time of the signals with the Livingston detector measuring the waves 1.1 milliseconds before the Hanford detector the position of the source in the sky can be roughly determined. 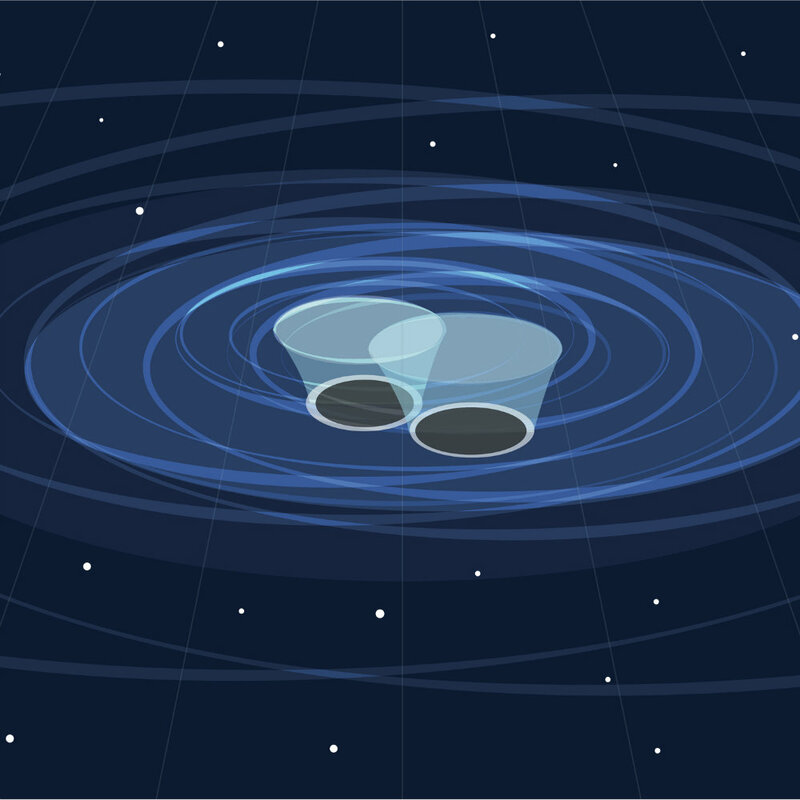 The first detection of gravitational waves, which occurred Sept. 14 and was announced Feb. 11 F, was a milestone in physics and astronomy and marked the beginning of the new field of gravitational-wave astronomy. Before moving to Caltech in 2011, David Reitze managed the development of the Advanced LIGO Input Optics at UF, the optical system with the largest number of optical components. “When he left, we not only lost a good friend but also a great scientist with exceptional organizational skills in our department; but the IO was in such a good shape and the entire IO team at UF was so strong that finishing the five million dollar project turned out to be fairly straight forward”, said Prof. Guido Mueller who, together with Prof. David Tanner, has lead the UF Input Optics group since 2011.
in The Netherlands with Nikhef; the Wigner RCP in Hungary; the POLGRAW group in Poland and the European Gravitational Observatory (EGO), the laboratory hosting the Virgo detector near Pisa in Italy.